Maintain Your Weight Loss Results! 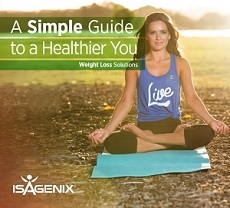 Isagenix offers different programs depending on if you want to lose weight or maintain your current good health. Through the Isagenix Healthy Maintenance Program, you are able to cleanse your body of any harmful toxins while nourishing each cell of your body with high quality vitamins and minerals. This nutritional program is designed to combat malnutrition and offers nutritionally complete meal replacements. This pack is not recommended for weight loss, but rather to maintain your previous weight loss results. With the hustle and bustle of modern life, maintaining a good level of health can be difficult at times. Fortunately, the Isagenix program offers a safe, easy alternative. 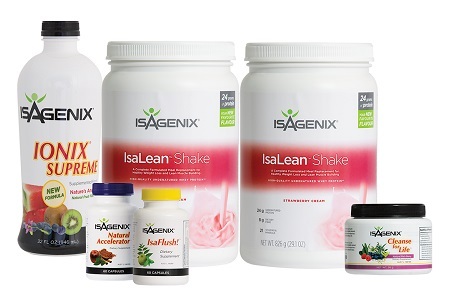 With the Isagenix Healthy Maintenance Program, you can ensure that you look and feel your best. Beyond the products that you receive in each package, you are also given a 30 day money back guarantee. If you are not completely happy with your purchase, you have 30 days to return the product for a full refund.